Valerian has to be one of the smelliest essential oils on the market, and I don’t mean smelly-nice, I mean stinky! But it also is one of the best sedative oils out there and therefore merits consideration. To give an example of its unusual odor, people have often mistaken it for smelly socks. One time, after using it at home, my daughter unjustly accused the dog of having had a major accident and was very perplexed when she couldn’t find the mess. That about sums it up… Pungently unpleasant. “So why use it?” you ask. Well, as I said, it is an incredible knock out oil. You have insomnia? No problem. You have nervous anxiety? Piece of cake. Tense? Hyper? Restless? This is an answer to your prayers. Odor aside, this is a great herb for just about any stressful situation if you want instant zone-out. 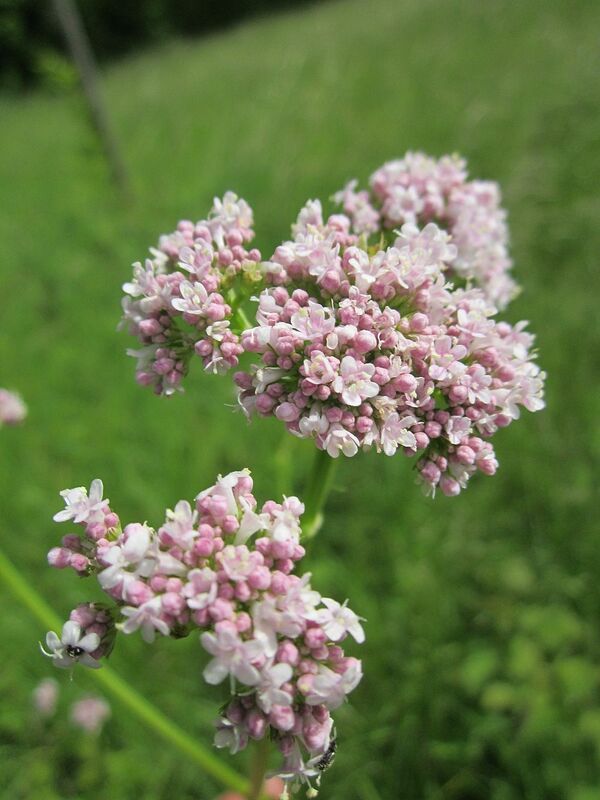 Valerian is steam distilled from the valeriana faurueu plant and has been held in high regard since medieval times. It was called “heal all” back then and had been used for a wide range of complaints including migraine, colic, rheumatism, skin complaints, bruising, backache, and colds and for pain relief. In modern days this plant is used in herbal teas, in soaps, used to flavor tobacco, root beer and liqueurs. Therapeutically, valerian is used primarily for insomnia and can be taken internally in herbal capsules, in tea or the essential oil can be burned in an aroma lamp at night before bed. The same applies for disorders like nervous indigestion and tension headaches. If you are brave enough, valerian can also be added to a carrier oil and used in massage, or a few drops can be added to an evening’s bath water. It blends well with the more fragrant florals (to mask its odor). Migraines also are relieved with valerian, but I suggest you don’t use it unless you are laying low for the rest of the day or going right to bed, because it really has a soporific effect on the body and the mind. On psycho-spiritual levels, valerian has few qualities to recommend it. Because of its odor, burning valerian makes meditation an endurance test, though if you can bear it, you may be able to achieve deep hypnotic states. Generally, though, you will tend to just fall asleep instead. Its ability to depress the central nervous system makes it valuable as a stress reducer and carminative, but again, it won’t bring you to any heights of awareness or brilliance once the mind’s chatter ceases. It will just deaden the brain and bring you into a stupor. So, if you are high strung, nervous and having insomniac problems, valerian oil might be the help you are looking for. But don’t blame me if not even the dog wants to sleep with you. I suggest you stick to the herbal remedies or valerian tea.